As a true Oregonian girl, I know when strawberry season is here! We have THE BEST, bright red juicy strawberries, on this planet! I’m not exaggerating either. 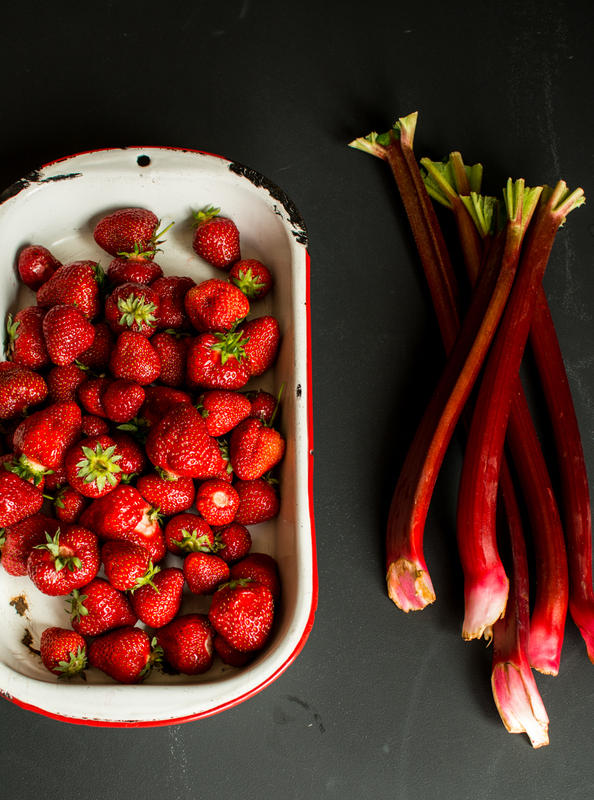 Late May to mid June, our strawberry fields come to life and so do all the farmer’s markets with loads of red strawberries. Big and juicy, with bold red centers, you do not want to miss any of these in our early summer months. The whole Spring season teases us of these big red California strawberries in the grocery store, but only to disappoint. They lack flavor, juiciness and have the white centers. Sorry California, your berries don’t come close to ours! Oregon really does have the best of many things, and strawberries are on the top of that list! 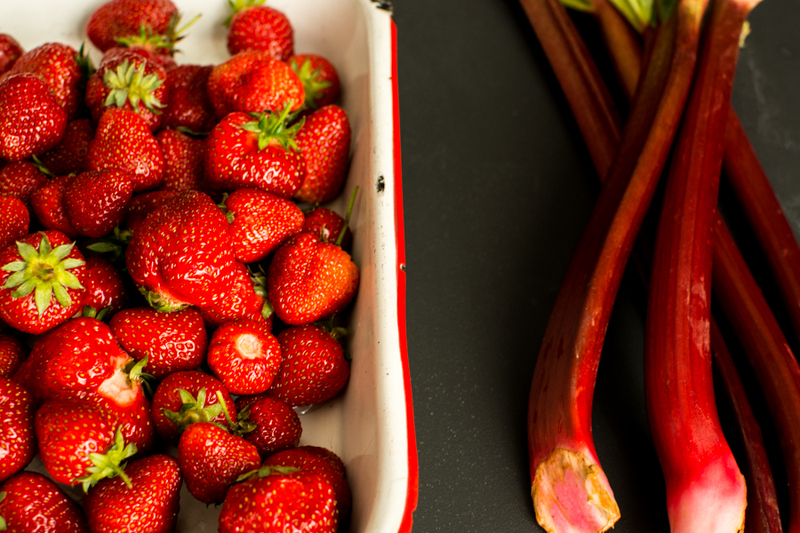 So…what to do with these bright red beauties besides eat them by the handfuls? Well, many things of course, salads, smoothies, cobblers, jam, ice-cream, and even this pie! 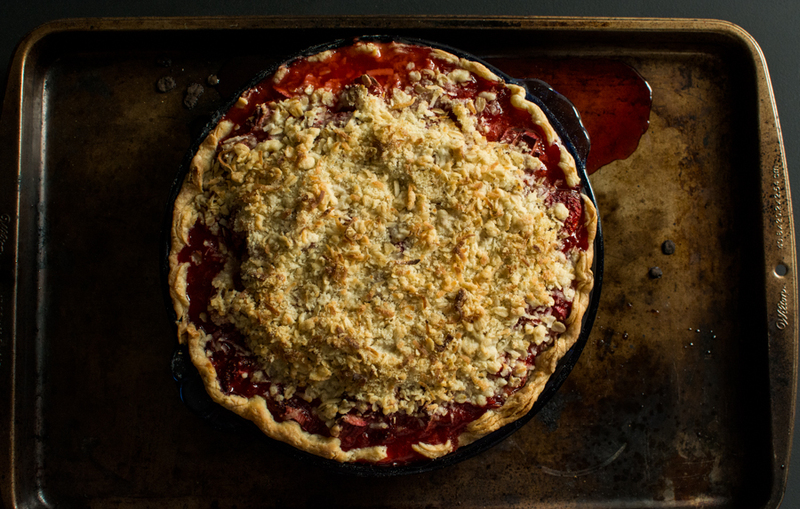 We always make a strawberry rhubarb cobbler come this time of year, (yes a post that needs to come sooner than later). Ok, we make a cobbler probably 10 times before strawberry season is over! 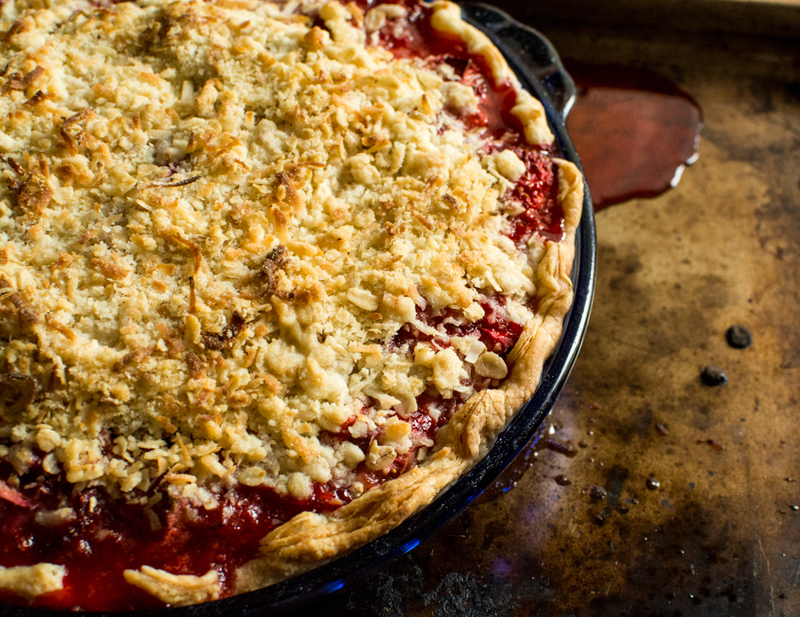 I have made many pies in my lifetime, but never a strawberry rhubarb pie. 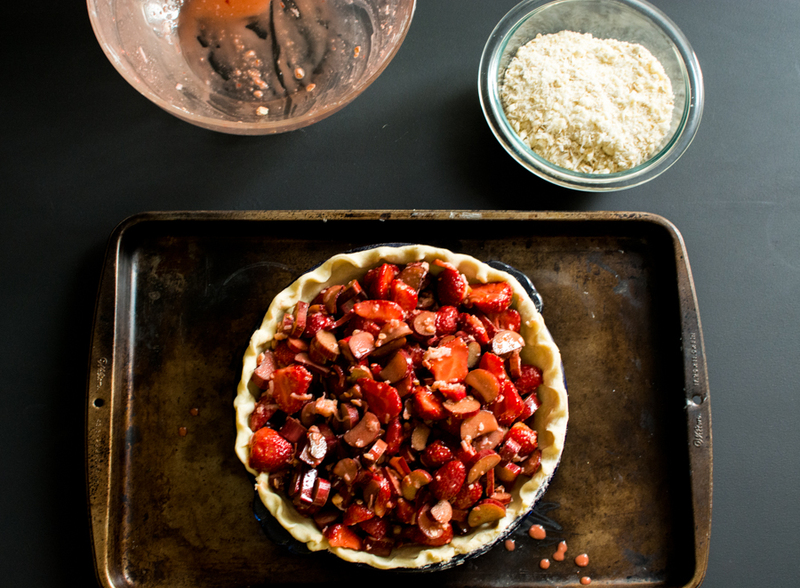 Until I saw Joy The Baker’s pie.…I knew our strawberries would be perfect in this pie! And I really want pie instead of another cobbler! This pie is the best of both worlds…it’s got the pie crust of a pie, and the topping of a cobbler. Perfect in my opinion! 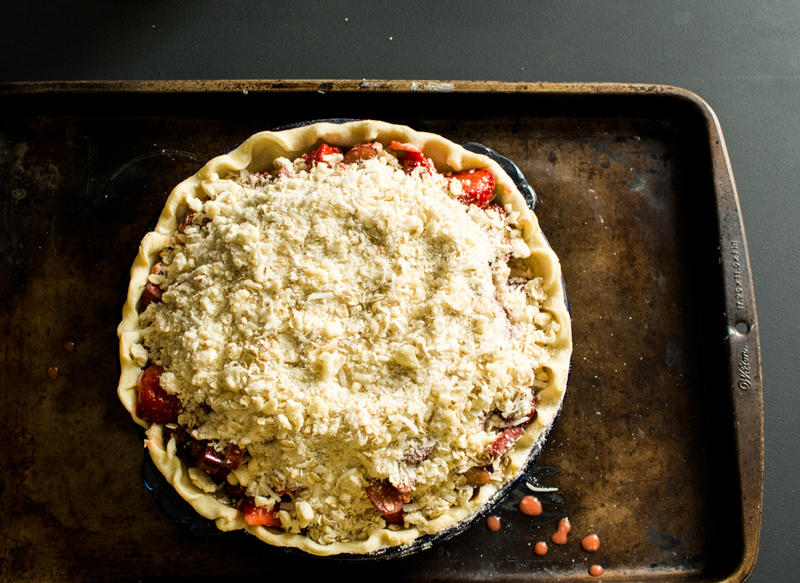 The tartness of the rhubarb pairs well with the sweetness of the strawberries, not a lot of sugar is in this pie yielding a sweet/tart result. The added bonus of the crunchy topping with coconut is just perfect. In a medium bowl, whisk together flour, sugar and salt. Cut butter into flour mixture with a pastry blender or your hands. Mixture should be crumbly and the size of peas. Make a well in the center and add the buttermilk. Using a fork to work it into the mixture. Pour out onto a floured surface and kneed dough into a disk. Wrap with plastic wrap and refrigerate 1 hour. Roll out onto a floured surface to 12 inches. Place dough into a 9 inch pie pan, trim edges and crimp. Cover with plastic wrap and refrigerate another 30 minutes. 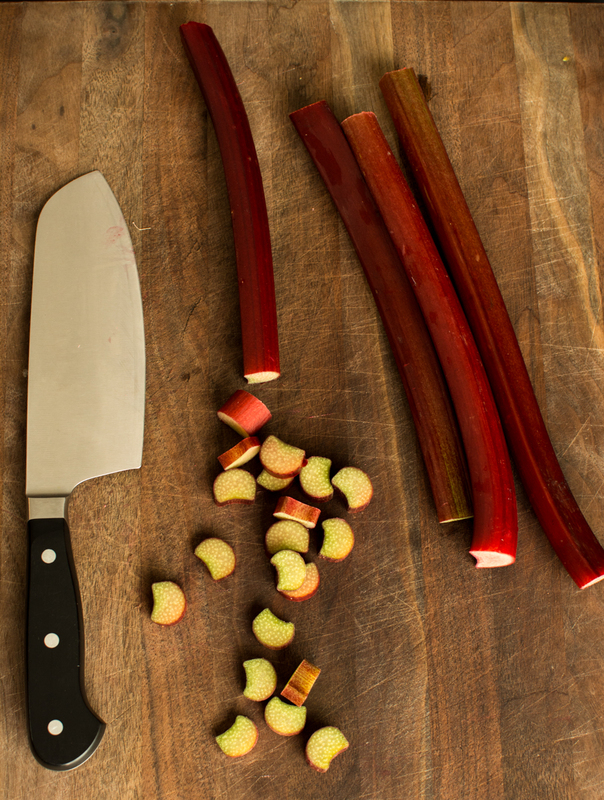 In a large bowl, toss the strawberries and rhubarb with the sugar, cornstarch and salt. Drizzle the lemon juice over and gently fold. Let sit to room temperature. The cornstarch will dissolve allowing the fruit to juice. Mix all ingredients except butter into a medium bowl, cut butter into mixture until it resmebles small crumbs. 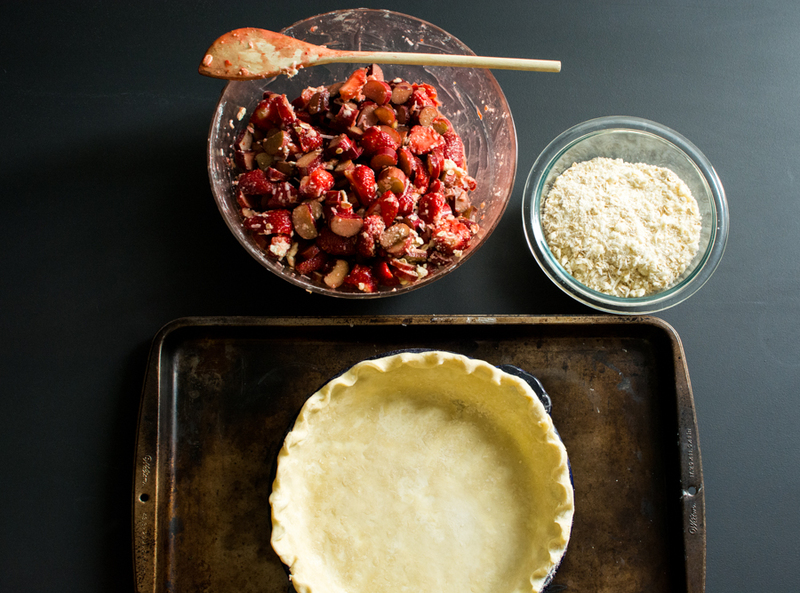 Place pie dish on a cookie sheet and fill with fruit. Pour topping on top of pie. Bake on the middle rack, so you don't burn the coconut, for 20 minutes. Then reduce the temperature to 350 and bake another 45 minutes. Allow to cool at room temperature before slicing. It’s true that Oregon really does have incredible strawberries, maybe they aren’t big and shiny like California ones but they literally burst with so much more flavor. Thanks Aubrie! And ya…we have loads of shops out here…I found a lot at the antique shops in Aurora. This pan that the pie is on, was actually mine that had been cooked/burnt several times in the past years, LOL!